When the nerve in a tooth dies, the infected tissue must be removed by either extracting the tooth or performing a root canal. 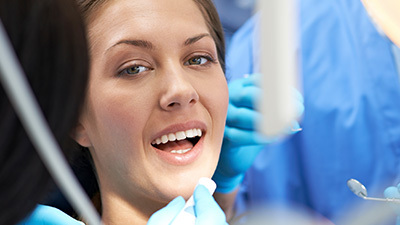 Removing the infection from the tooth and filling the canal where the nerve was removed is called a root canal (also known as endodontic treatment). Rest assured that 21st Century Dental handles this procedure comfortably and smoothly. Contact us today to learn more, or to schedule a first appointment with our team. Why Choose 21st Century Dental for Root Canal Therapy? For example, an area of deep decay could negatively affect the nerve, or the accidental fracture of part of the tooth could expose the nerve. Sometimes, just a blow to the tooth can cause the nerve to die and become infected. In any case, when the nerve becomes infected, the nerve tissue must be removed by either extracting the tooth or performing a root canal (endodontic treatment). Ideally, the root canal should be done before the infection has a chance to get into the bone and cause extreme swelling and pain. 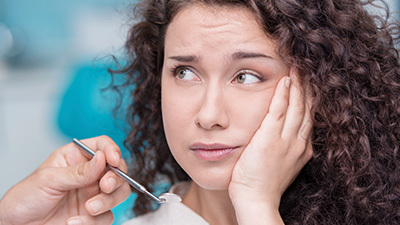 Periodic dental examinations here in Las Colinas can help patients avoid severe complications from dental infections, as well as making sure to have your tooth checked right away when it begins to hurt.